If you’re new to trading then the futures knowledge base contains everything you need to know to get started. This information packed series of short articles covers all the basics with clear and simple explanations to bring you straight up to speed on how these markets work. Explore the articles to find out more about how to profit from this popular financial instrument. 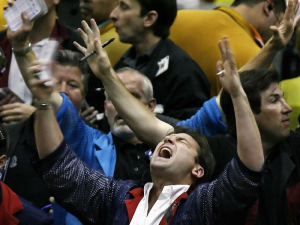 Who Trades in the Futures Markets? Who Regulates the Futures Markets? Once you’ve worked your way through the knowledge base and picked up all the basics, the next step is to find a trading strategy that you are comfortable with and that you know has performed well historically. You’ll find some great ideas by reading through the articles and analysis on on this site, as well as on our numerous great resources around the web for further inspiration. ETFs vs Futures – Which Is Better? Having developed a solid strategy and tested it thoroughly to give yourself the best chances for profitability, you’ll be ready to trade. There are a variety of great commodity trading firms to choose from – make sure you’ve read the article on selecting a broker above so that you know exactly what to look for. Our compare futures brokers page is a great place for discovering the best brokers, finding out how they compare in the features they offer and the commissions and fees they charge, as well as reading up with detailed, unbiased reviews and customer ratings. Happy hunting!